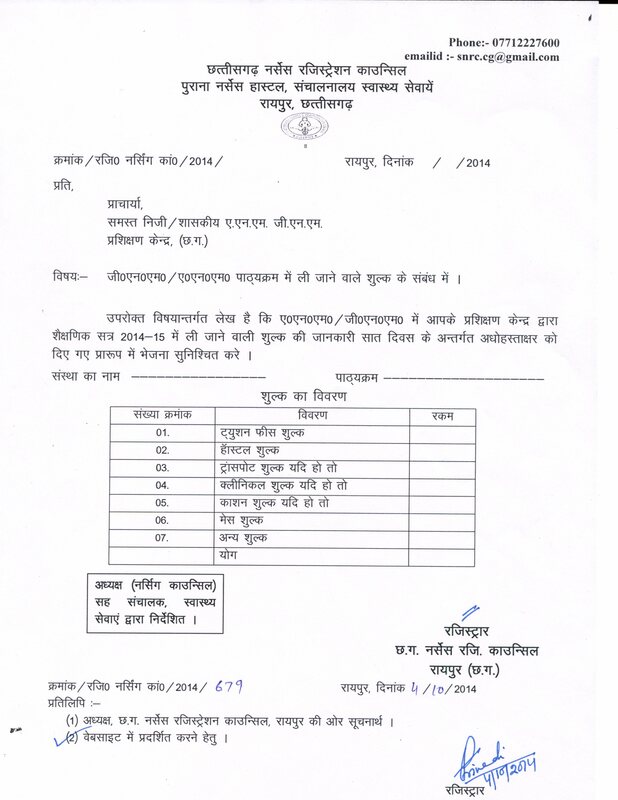 Chhattisgarh Nurses Registration Council is an autonomous body under Health & Family Welfare Department of Chhattisgarh. The Chhattisgarh Nurses Registration Council came in force from 21-05-2003 onwards. Before this period the trained nurses of the State were registered with Mahakhoushal Nurses Registration Council. This Council started registering the trained nurses under CHHATTISGARH UPCHARIKA, PRASAVIKA, SAHAI UPCHARIKA-PRASAVIKA TATHA SWASTHYA PARIDARSHAK REGISTRIKARAN ADHINIYAM, 1972. 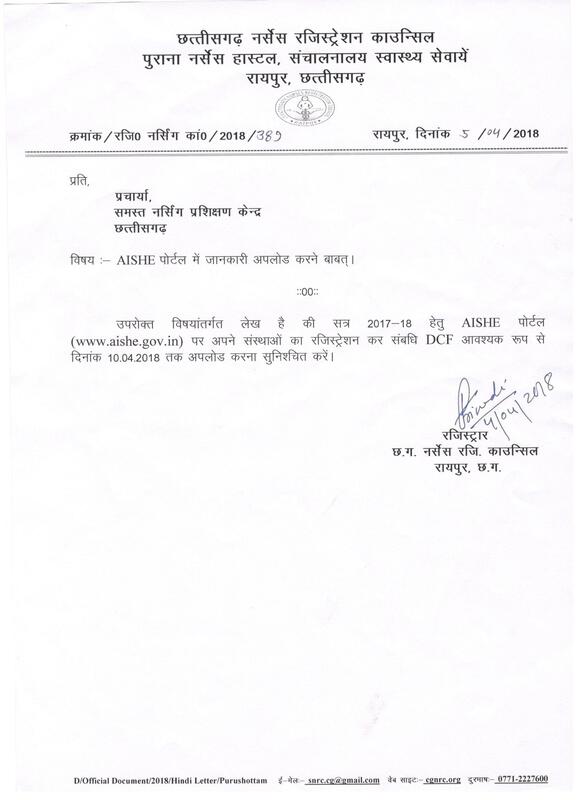 An Act to consolidate the laws relating to registration of Nurses, Midwives, Auxiliary Nurse-Midwives and Health Visitors in Chhattisgarh and to make provision for the Constitution of the Nurses Registration Council for the State . 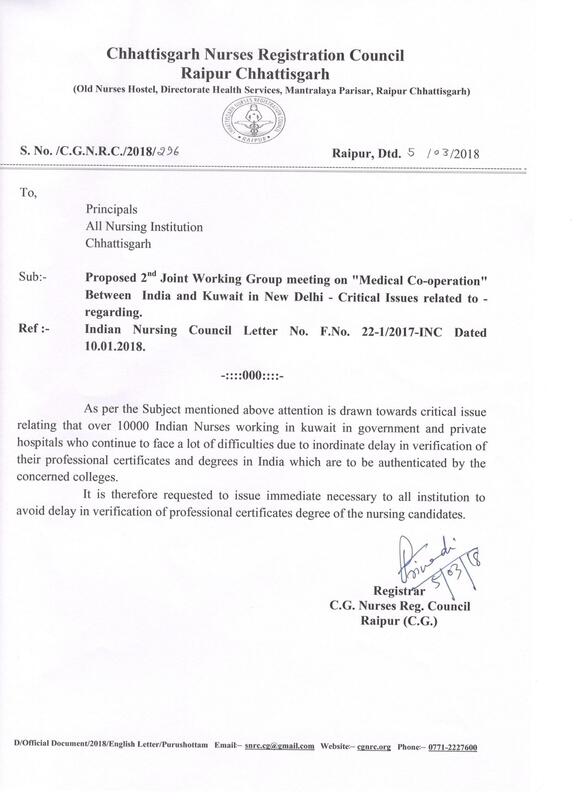 Proposed 2nd Joint Working Group Meeting on "Medical Co-operation" Between India and Kuwait in New Delhi-Critical Issues Related To-Regarding. काउंसिल बंद होने की आम सूचना. 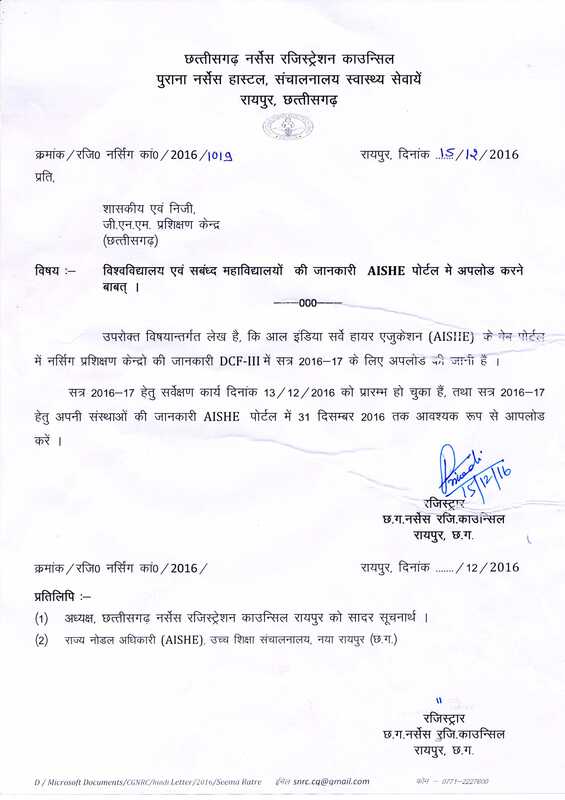 DECLARATION OF RESULT, NOVEMBER - 2016 EXAM. Notice Regarding Anti ragging Committee. Submission of fees details for all private ANM/GNM training centers . 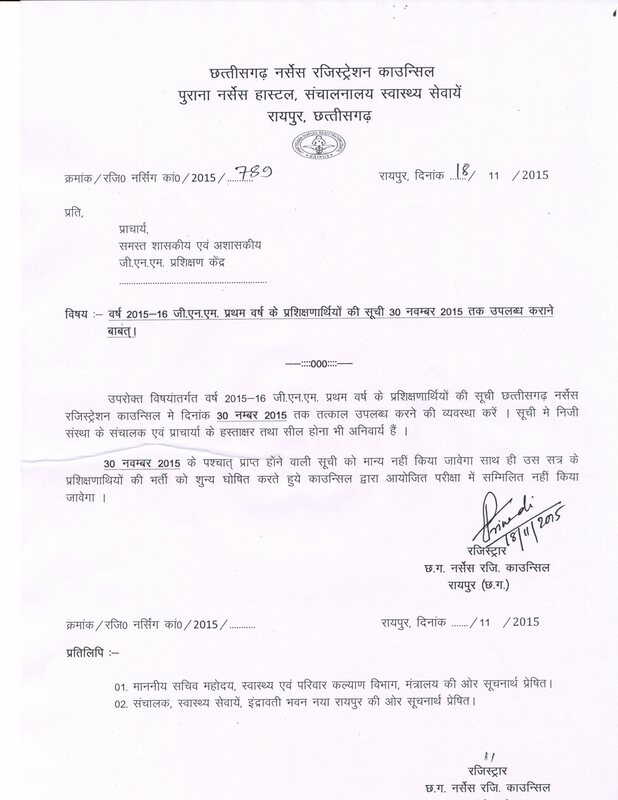 copyright © 2013-14 Chhattisgarh Nurses Registration Council. All rights reserved.